James Fadiman, Ph.D. has been involved in both teaching and facilitating creative problem-solving with and without psychedelics for more than three decades. 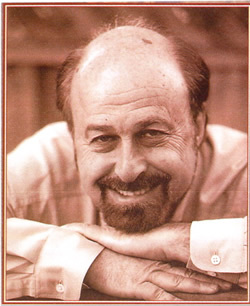 His experience ranges from early experimentation with Ram Dass and Tim Leary at Harvard to government-sanctioned legal research with Myron Stolaroff and Willis Harman at Stanford. He co-founded the Institute of Transpersonal Psychology where he now teaches, is the co-author of Essential Sufism, and has just released a novel, The Other Side of Haight. Posted in Al Hubbard, Books, Consciousness, Creativity, James Fadiman, LSD, Mind States, Myron Stolaroff, Psychedelic Research, Psychedelics, Science & Technology and tagged Al Hubbard, Books, Consciousness, Creativity, James Fadiman, LSD, Mind States, Myron Stolaroff, Psychedelic Research, Psychedelics, Science & Technology.